This mani was inspired by Chelsea Queen, looooove her manis! :D I used Zoya's Blu, Wednesday, Neely, & Kristen for this mani, in addition to black and white polish. This looks amazing! Also I love this nail shape on you. So pretty! 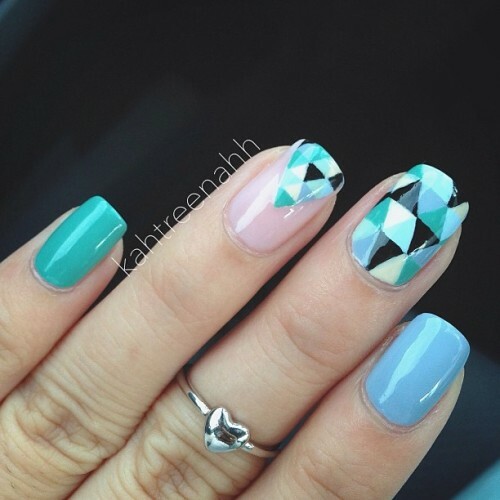 Love the accent finger! This is so cool! I love how your middle finger looks.